Did you know that your practice details can be found in hundreds of places on the Internet? Countless directories and data aggregators have posted your practice Name, Address and Phone number (NAP). NAP stands for Name, Address, and Phone Number and this info needs to be 100% consistent across all your citations. 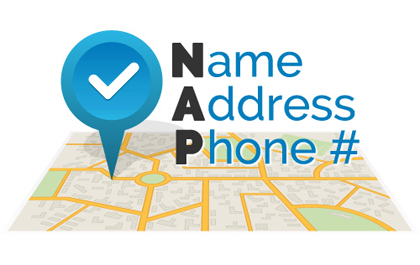 Your NAP schema markup is a sort of “digital business card.” This is what tells the search engines the official location and phone number of your practice. And, while it seems simple, any minor inconsistency in NAP can prevent Google from showing your practice listing at all. They won’t risk their reputation by showing inaccurate search results. When you’re a Vortala Digital client, we take care of all of your citations for you, making sure they are accurate on all websites. This ensures you get the most out of each citation to improve your local search engine rankings. Have you recently moved practice locations? Just let us know and we’ll initiate our NAP Change Service. As part of your move, be sure to budget enough to have us update your NAP. This is a big undertaking, but necessary to make sure that Google continues to show your practice in search results. Call us today to order a NAP Change.